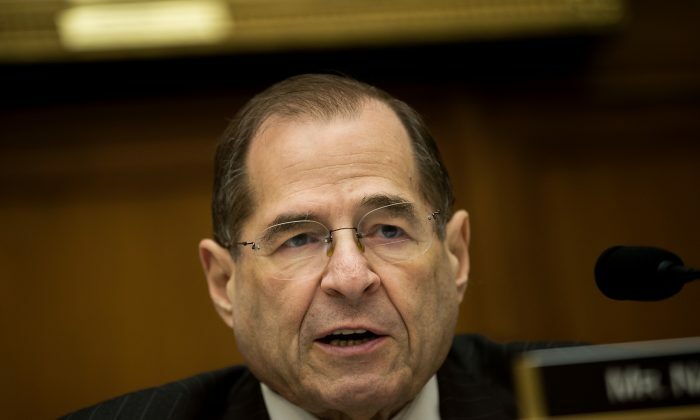 New York Congressman Jerrold Nadler is in line to be the chairman of the House Judiciary Committee. 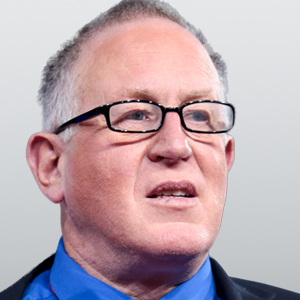 Should Democrats regain control of the House in November, he would likely use his position to lead impeachment proceedings against President Donald Trump, who he labeled as a “fascist” at a Manhattan Town Hall in April 2017. If Democrats win control of the house, Nadler has already promised to open a formal investigation into “accusations of sexual misconduct and perjury” against Supreme Court Justice Brett Kavanaugh, as reported in The New York Times and elsewhere earlier this month. While Nadler has no basis for his outrageous claim that President Trump is or has ever been a “fascist,” there is hard evidence that Nadler has been—and likely still is—a Marxist. Perhaps it is Nadler who should be investigated. The Democratic Socialists of America (DSA) is the United States’ largest Marxist organization. It has made headlines across this election cycle for a series of unexpected victories. Dues-paying DSA members Alexandria Ocasio-Cortez (New York) and Rashida Tlaib (Michigan), for example, will almost certainly be elected to Congress in November. While many have expressed shock that open socialists can be elected on the Democratic ticket, this is not a new phenomenon. Several DSA comrades—including Nadler—have served in Congress over the last 30 years. In 1980, prominent DSOC members included Rep. Ronald Dellums (D-Calif.), Hilda Mason of the District of Columbia City Council, Harlan Baker of the Maine state legislature, Perry Bullard of the Michigan state legislature, Ruth Messinger of the New York City Council, Harry Britt of the San Francisco Board of Supervisors, and Jerry Nadler of the New York state legislature. Nadler had been a DSOC member since at least 1977, when New York state Assembly members Seymour Posner and Nadler were both listed as members of the DSOC in the Aug. 22, 1977, edition of New York Magazine. In 1989, Nadler personally asked for New York DSA’s endorsement of his candidacy for NYC Comptroller, as recorded in the NYC-DSA Monthly Bulletin. In 1990, as part of the New Democratic Coalition, Nadler personally endorsed the New York mayoral campaign of well-known DSA member David Dinkins. The New Democratic Coalition was a “coalition of progressive Democrats,” which included New York DSA, many individual Democratic Socialists including New York City Councilor Ruth Messinger, and some communists including Margaret Chin, a known Communist Workers Party leader who is now serving on the New York City Council. Jerry Nadler addressed the 1995 DSA National Conference. And in July 1996, the DSA Political Action Committee endorsed Nadler in that year’s Congressional elections. “Recently, Congressional Representative Jerrold Nadler briefed DSA activists from around the country on the state of the Social Security situation. According to Nadler, the Social Security ‘crisis’ isn’t financial, it’s political. Nadler is still listed as serving on the advisory board of the DSA-dominated National Jobs for All Coalition. Nadler serves alongside several well-known DSA comrades, including Cornel West, Victor Sidel, Elaine Bernard, Larry Mishel, plus former Communist Workers Party member Kent Wong. Nadler has a well-documented 40-year history with America’s most powerful Marxist organization, the DSA. He has clearly used his government positions to advance DSA’s anti-constitutional agenda in the past. If the Democrats regain control of the House this November, Nadler will become chair of the Judiciary Committee. From that position, Rep. Nadler will have oversight over the FBI, the Justice Department, and a campaign to impeach President Trump. Is Nadler about to become one of the most powerful Marxists in America?